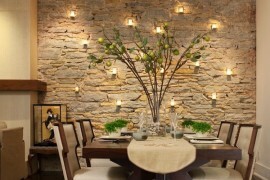 Every room in your house should have its own design style and should speak to how you and your family enjoy your home. Adding colors, textures, and patterns can create an instant style to your home without little effort if you use wallpaper. Wallpaper once was thought of as an alternative to paint, but today its ability to transform a space with bold patterns and the illusion of texture on a flat surface is incredible. 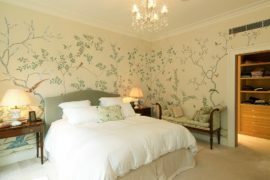 Every home and homeowner has a style and when choosing wallpaper it’s essential to keep both in mind. Bold prints don’t always have to be eye popping, they can be subtle with varying tone-on-tone color, or they can be neutral colors that almost make the bold pattern seem tame and soothing. If you like eclectic and one-of-a-kind style than larger patterns and stronger colors and contrasting colors would suit your home better. If you love the idea of bold prints but want to approach patterns more subtly opt for a neutral color palette that still attracts eyes of every visitor that walks through your door. From geometric repetitive shapes to florals or psychedelic inspired swirls, the wallpaper world is full of pattern inspiration. 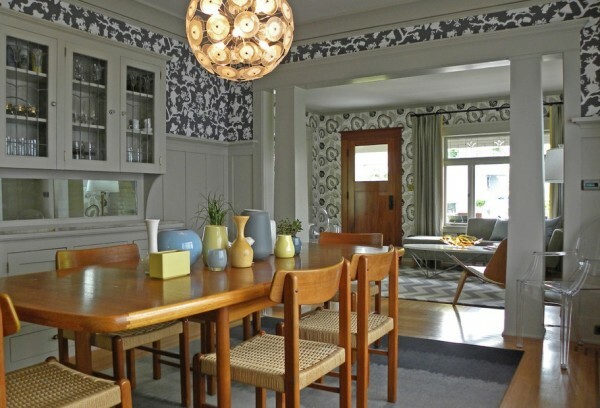 One way many homeowners have chosen to address large print wallpaper is to pair it with wainscoting or a chair rail to stop the wallpaper at a certain height and then continue the rest of the wall with a contrasting color paint, beadboard, or wall paneling. 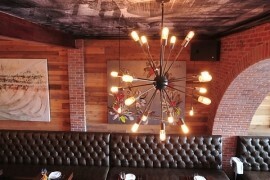 This gives the eye a rest from the bold wall but it also gives a chance to introduce another color to your room. Also consider using bold wallpaper along kitchen or bathroom walls with large mirrors or cabinets to help break up the large print throughout your interiors. 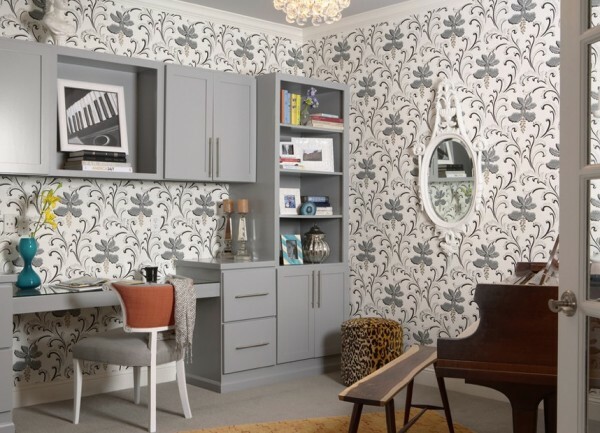 If you love your interiors to have a touch of Regency Style and Hollywood glam, bold wallpaper has comeback in a big way in the last few years. 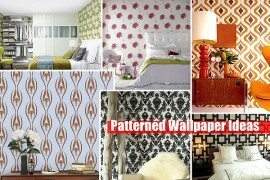 Wallpaper manufacturers are introducing retro themed wallpapers but with modern and trending colors that create instant glam in your home without too much effort. After all who doesn’t want a room that looks like a celebrity’s dressing room?! Look through your favorite interior magazines and you will see glamorous finishes, mirrors, crystals, and bold furnishings are all part of creating a room that could only be described as sensational. 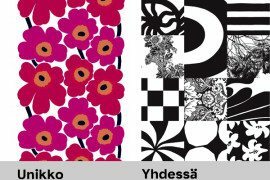 Bold prints in fabrics, textiles, window coverings and even area rugs are popular and have an aesthetic that everyone will love. 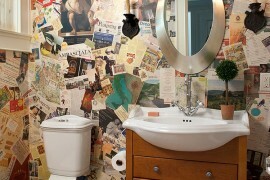 Bold wall paper can be subtle and glamorous! 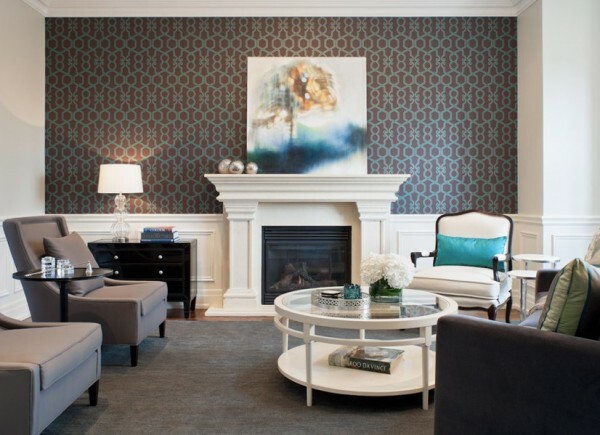 Bold wallpaper has the power to create a space like no other. Use these inspiring tips to transform your walls with rich colors, patterns and find a paper that corresponds with your design style and family lifestyle. That’s the awesome part about using wallpaper the options are limitless and you can change it next year when you are ready for a new look!